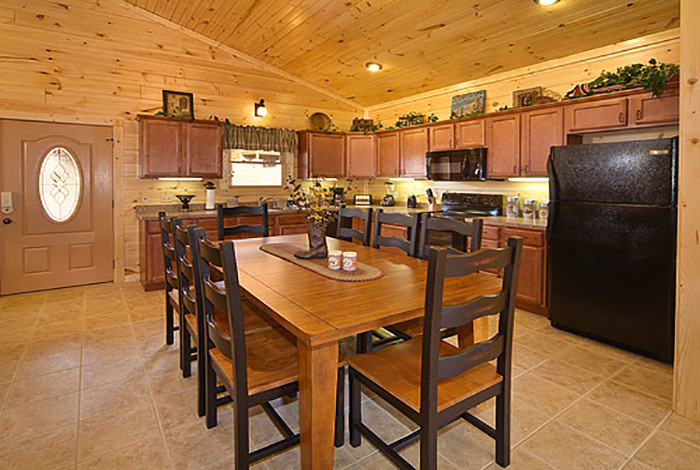 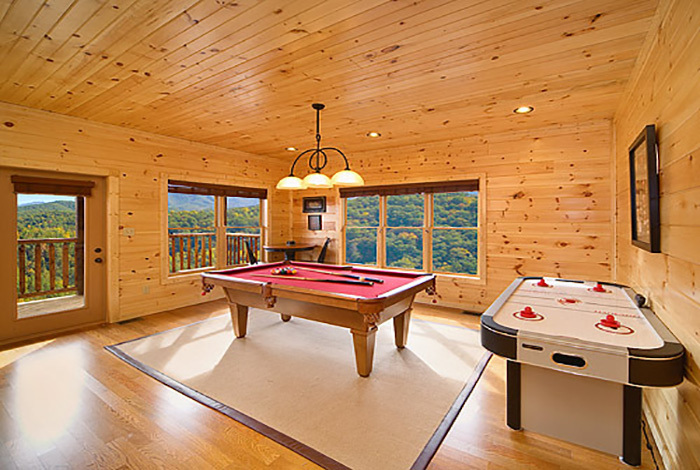 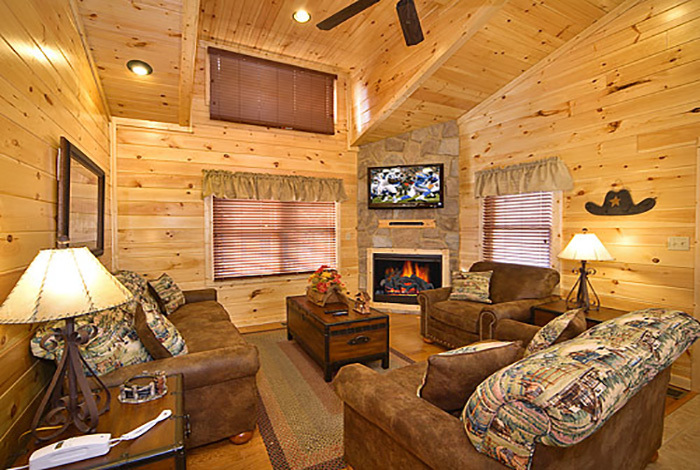 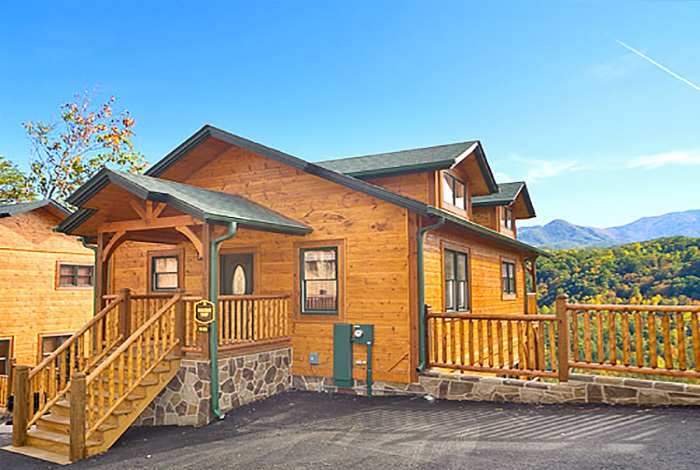 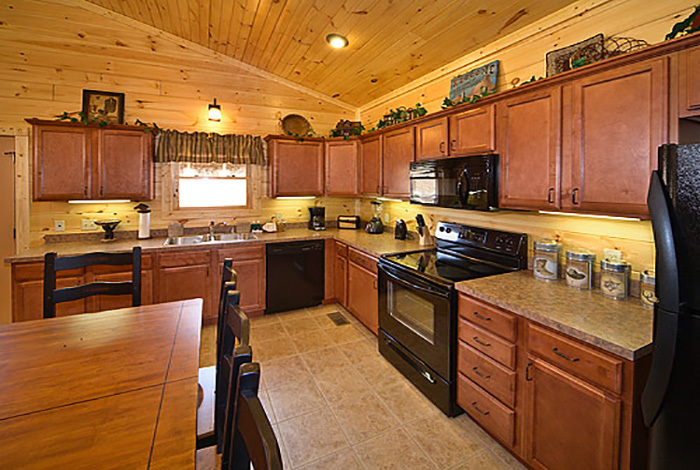 Come enjoy a stay at Rocky Top, one of the premier 2 bedroom Gatlinburg cabin rentals in the Smoky Mountains. 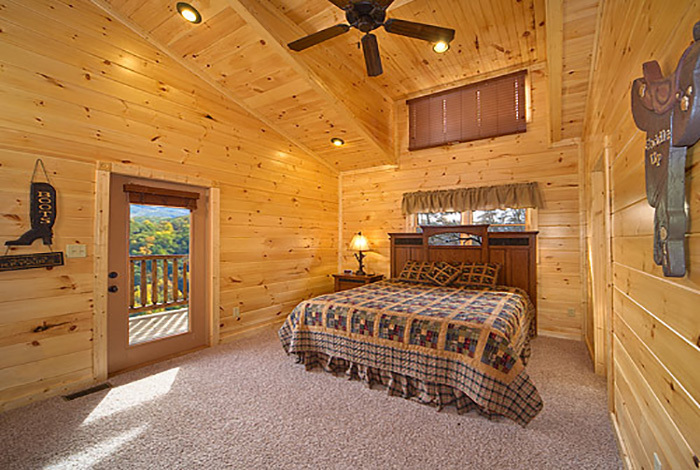 Guests of all ages will enjoy their stay in this cabin because of its combination of breathtaking views, premium amenities, and prime location. 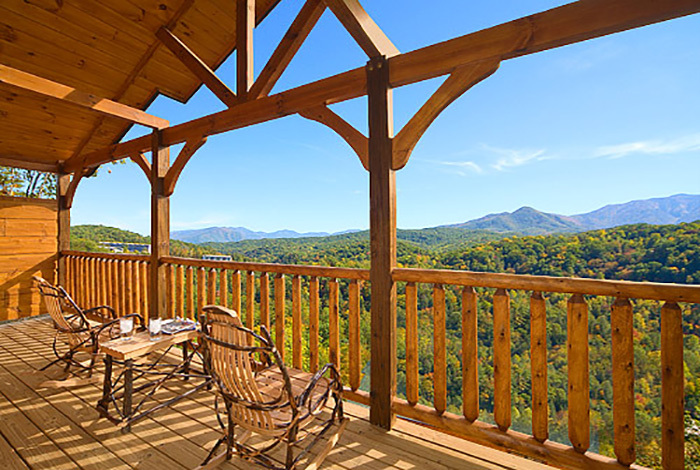 Adults will love relaxing in the Amish rocking chairs and hot tub on the deck which features unequaled views of the Great Smoky Mountains. 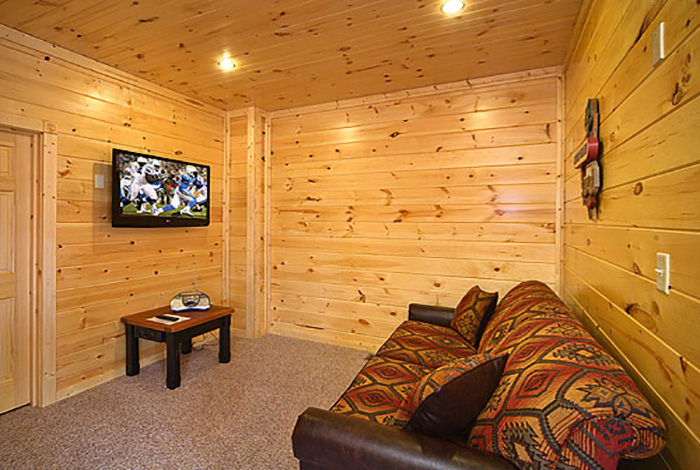 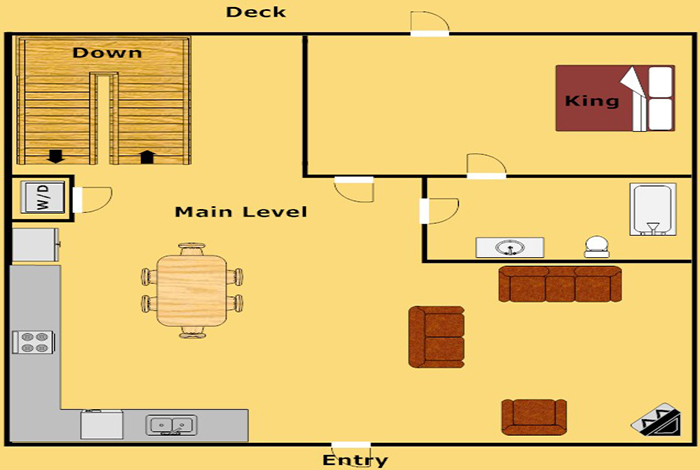 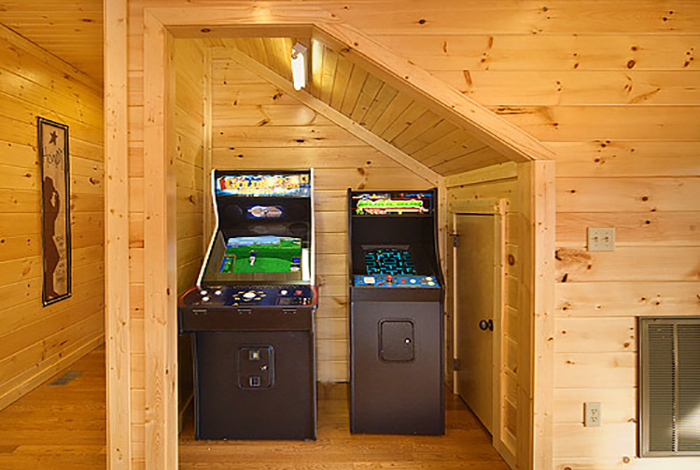 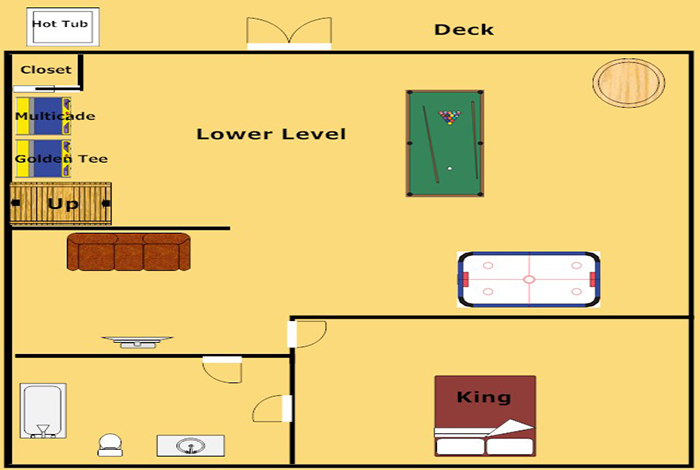 The interior features lodge-style furnishings, vertical jetted shower spa in each bathroom, fireplace, Wifi, 3 flat screen TVs with premium cable, and game room stocked with Pool Table, Air Hockey, Golden Tee, and Multicade with over 20 arcade games. 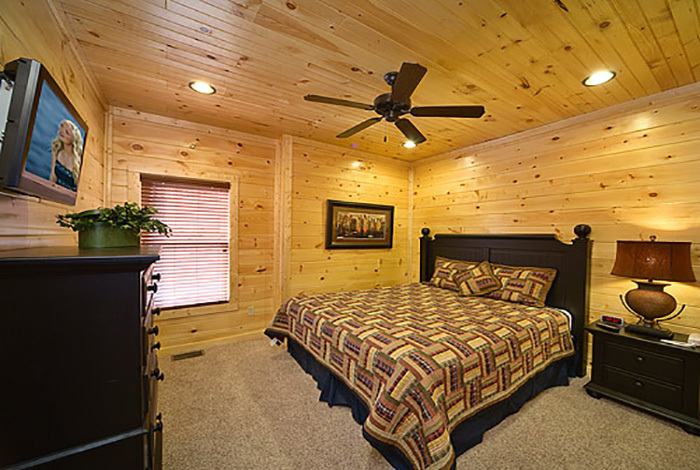 All this while being located just minutes from downtown Gatlinburg and Pigeon Forge in the pristine Gatlinburg Falls Parkview Resort. 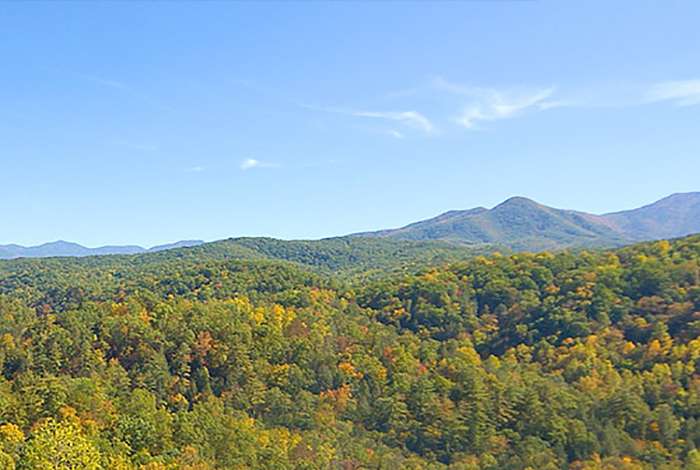 So come enjoy a stay at Rocky Top and find your family’s favorite vacation spot for years to come.